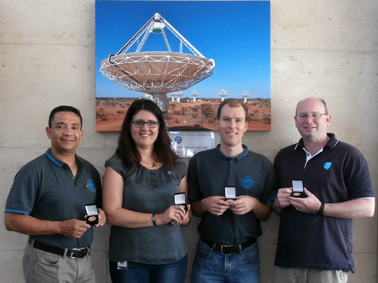 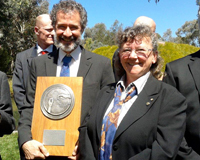 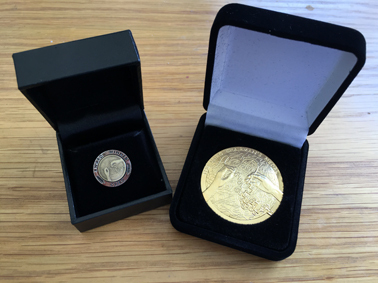 The team behind CSIRO’s newest radio telescope, the Australian Square Kilometre Array Pathfinder (ASKAP), has won the 2015 Chairman’s Medal at today’s CSIRO Awards ceremony. 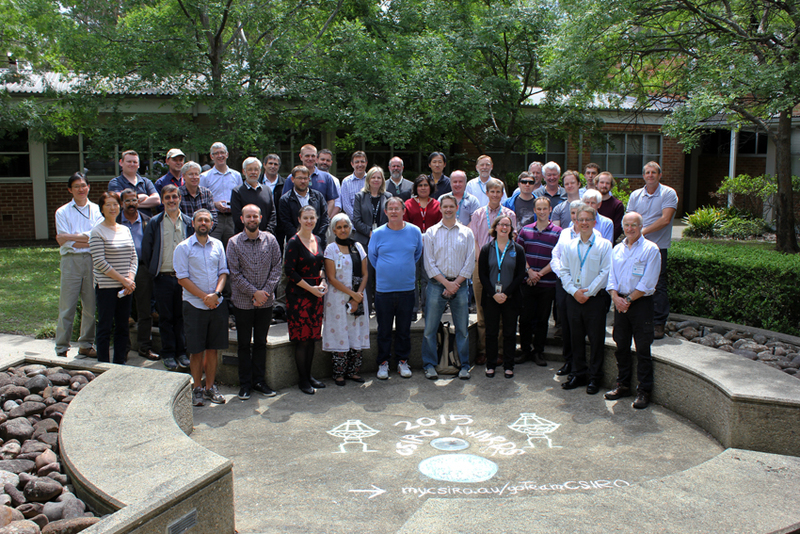 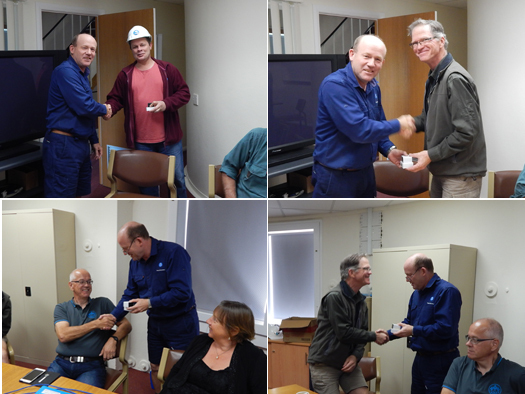 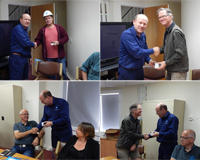 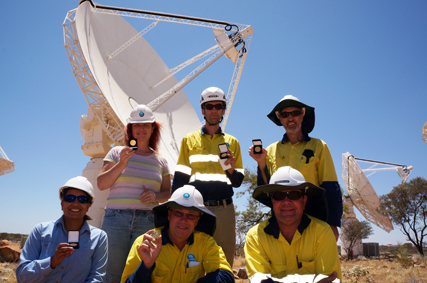 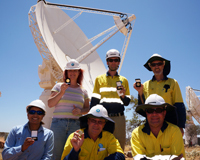 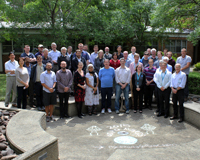 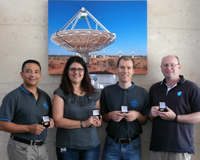 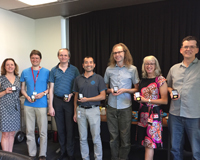 While eleven of the fourteen ‘seminal contributors’ to the project attended the awards ceremony in Canberra, the fourteenth member, the entire ASKAP team, celebrated together despite being spread across the different sites of CSIRO Astronomy and Space Science – in Sydney, Perth, Geraldton, the Murchison Radio-astronomy Observatory, Narrabri, and Parkes. 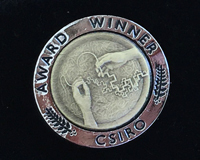 This award follows the success the team saw at the 2013 Engineers Australia Engineering Excellence Awards and The Australian Innovation Awards in 2014 – find out more about our award winning telescope in the latest animation from CSIRO. 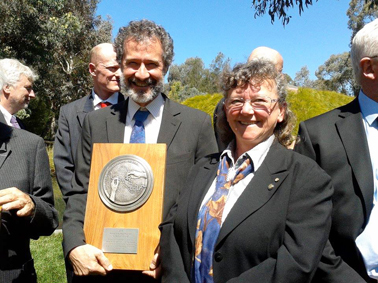 Ant Schinckel and Michelle Storey in Canberra.